The music mogul is hopeful that a group can do well on the new US version of the TV talent search contest, and has a particular fondness for contemporary choirs such as the one featured in the musical television drama series. He said: "Groups, groups, groups. Everything in pop music goes around in a circle. Just because there isn't a Spice Girls or a Destiny's Child or an N'Sync around now, it's time for a group like that again. “As a record company person – forget the show for a minute – there’s a massive opportunity right now for a group of guys or girls. “Have you seen this group called The PS22 Chorus? They were on the Oscars, they weren’t great but their YouTube stuff is much better, but it was a singing teacher who put these kids into a choir, and they do their own version of contemporary songs. 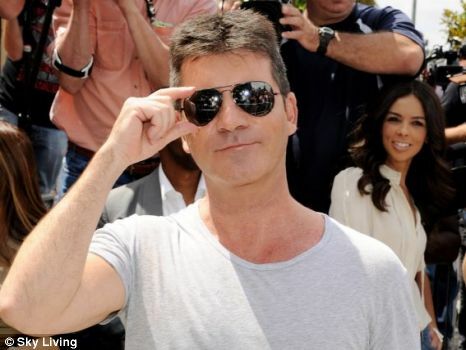 As well as tipping a group for success, Simon – who is joined on the judging panel by L.A. Reid, Paula Abdul and Cheryl Cole – thinks he has already seen some potential winners and is pleased he made the minimum age for contestants just 12. He explained in an interview with ‘Extra’: “I’ve seen two people I think could be in the final already, after two days. One is an older singer and the other is around 12, 13 years old.